Soon, linking the employee provident fund account with the Aadhaar card can make life much easier for employees. K K Jalan, central provident fund commissioner, Employee Provident Fund Organisation, explains: "With the Supreme Court (SC) deciding to allow linking of PF with Aadhaar, it will help us go totally online. We wanted to use Aadhaar to give unique benefits to subscribers, like settlement of accounts through the online method. This can only be done if the account is linked with the biometric card. At present, for claims settlement, we are totally offline." 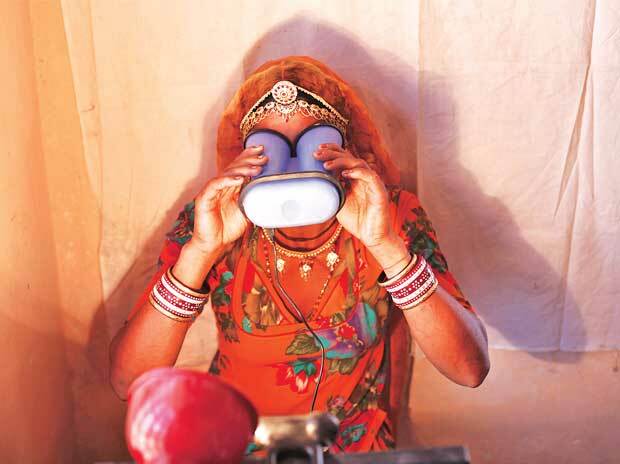 With the SC adding four more schemes (Jan-Dhan Yojana, Mahatma Gandhi Rural Employment Guarantee, EPF and pensions) where Aadhaar may be used, many transactions in the financial sector are finally getting linked to the biometric card. Earlier, the use was limited to getting foodgrain and kerosene under the Public Distribution System and for cooking gas. Says Guru Malladi, partner & leader, advisory services (government & public sector), EY: "For multi-channel service providers this is a welcome step. While there can be no denial of service if one does not have the card, it will help make things simpler for ones who decide to share their Aadhaar details." For example, as Aadhaar has been allowed for pension schemes, the money can be deposited directly to a pensioner's account. Even if the pensioner dies, things can move rapidly if his/her nominee's card details are with the department. At present, it takes three to six months for transfer of such details. Sushila Pai (name changed) lives with her 92-year- old mother in Mumbai's outskirts. When her brother who'd retired from a state government organisation passed away, the pension amount was supposed to have passed to the nominee, their mother. However, as the mother was 92 years and could not travel to the bank or even sign, bank officials had to come every month to get her thumbprint on cheques for withdrawal of pension. Frustrated with the process, the family withdraws the pension once in a quarter or six months. Even the transfer of pension took over six months because bank officials had to come several times to take the thumbprints. If Pai's mother had an Aadhaar card and had shared the details with the bank as the nominee of her son's pension, the transfer would have been much simpler. When Attorney General Mukul Rohatgi requested the SC to add the opening of bank accounts with a unique identification number, the court would not make more modifications. However, experts hope this usage of Aadhaar will soon be extended to other instruments like purchase of mutual funds (MFs), insurance policies and so on. Chief executives of MFs believe this development will allow them to exponentially extend their reach. At present, if distributors have client applications from another city, it is a big problem, as the process of physical verification is long. Many online distribution companies do video conferencing as physical verification. Backed by the Reserve Bank of India's permission to use Aadhaar, many banks have already started using it aggressively. Some even insist on the card when one applies for a bank account or loans. Also, the income tax department is making life easier for taxpayers who are willing to link their Aadhaar while filing returns. Despite filing a return online, taxpayers had to take printouts of the acknowledgement and send it by post to the department. Now, those who have linked the card need not do it. The apex court has not allowed mandatory use of Aadhaar. Without this, most financial institutions will be wary. However, experts also believe such a development would be premature, for many reasons. At present, the Unique Identification Number covers only 900 million accounts, roughly 75 per cent of the population. "Once we have reached 90 per cent or more, the courts will look at the government's plea to make it mandatory more favourably," says a tax expert. However, it is not only about coverage. Take the case of Anwar Sheikh, an assistant with a law firm, as an example. He applied for the card, with his family. While the others got their cards in a couple of months, his brother and he did not. After chasing the department and calling the helpline several times, he was told his documentation had not been received. He reapplied and got his card after a year. What is more surprising is that when he made contact with the department, he was asked to send the details in a format. When he did so, there was no response. "How can someone's documentation, eye scan, fingerprints simply disappear from the system? It is what worries me about the idea of a single identity like Aadhaar," says the lawyer. There is a strong debate on whether it should be made mandatory or not. Pawan Duggal, cyber security lawyer, feels the government should not do so as of today because Aadhaar is based on biometric information, collected using a computer system. This means it is based on information in electronic form. It is, therefore, governed by the Information Technology Act, which states that such information needs to have adequate security. "It's not normal data - it's sensitive personal data. If it's not properly retained and securely maintained, it can be leaked out and the entire identity will be compromised," says Duggal. The bigger problem, as Duggal highlights, is that one doesn't know how the government is complying with the IT Act, as there's no information on data safety procedures adopted. People are clueless on the compliances done under the Act. Some others feel the privacy issues will be resolved over time. "It is an opportunity for us to review our 70-year-old privacy laws. The security establishment around the card has to be created," adds Malladi. According to him, there is a lot of personal data already floating around. For example, with travel to the US and UK, one has to give biometric data even before entering the countries. Many others, like Dubai, seek data for people who are there even in transit. All this data can theoretically be misused. The issue is about the authenticity and veracity of the database. This is the reason why some financial institutions, like MF companies, are not allowed to accept it as a proof, which can have bigger financial ramifications. While this debate will be on for some time, or perhaps a very long time, it won't be a bad idea to get an Aadhaar card and use it for transactions you are comfortable with. What is the Aadhaar case about?